With barbecue weather on the way, high welfare sausages made from pork reared on Reaseheath College’s grounds are the sizzlers of choice over mass produced bangers. At the recent Reaseheath College Festival in Nantwich, 5,000 visitors took part in a culinary trial tasting a choice of traditional pork sausages produced by local butchers H.Clewlows and commercially produced standard catering pork sausages. 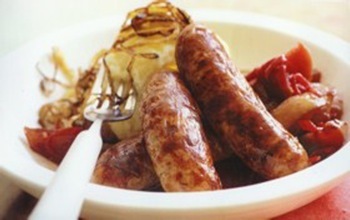 In a blind taste test of more than 1,600 sausages, 71% of those surveyed preferred the locally produced sausages. H.Clewlows, of Pepper Street, Nantwich, works with the support of the Enterprise Delivery Hub at Reaseheath College. The Landrace white pigs reared at Reaseheath College are taken to slaughter at Haslington, which is nine miles from Reaseheath College. 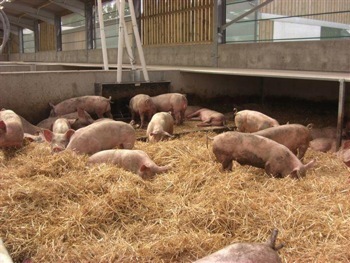 In March, H.Clewlows won 16 gold medals at the British Pig Executive Awards.